2e or Not 2e… That IS the question! Initially, we feared that we were being played. He would be so miserable when he was in the middle of an “uncomfortable” situation and then he was happy as a clam when we were back in the car or our guests had left. We worried that we were creating a monster if we did not force him to buck up! So we tried a stricter approach and found that didn’t work either. In fact, we actually had an increase in the very behavior that we were trying to extinguish. We were ALL miserable during the “Because I said so” phase. My TBP tried to explain what he was feeling but he didn’t have the words to help us understand his reality. Once we saw Therapist #1 (see previous post) and found out he was highly gifted, we had more questions! Then we saw Dr. S (Therapist #2 also discussed in previous post) and she helped us increase our parenting skills and taught him about necessary social skills. The neurologist told us what he “wasn’t” but he questioned if we would ever get a “neat and tidy” diagnosis. While seeking answers, I found help! I read the book Bright Not Broken (see my Resource list and it’s discussed in previous posts) and things changed. I was glued to this book because those words described my son!! The description was so accurate and SO many things made sense for the first time! We finally had a name for what we experienced and we were starting to get answers! Did it “fix” everything? Absolutely not! Many people still don’t know what it means to be “twice-exceptional.” They hear “gifted” and they question why my TBP isn’t self- motivated or able to challenge himself. They wonder if he is SO smart, why is school so hard? We find ourselves continually educating the staff at my TBP’s school about the challenges that he faces (and why he has these challenges in the first place) with recess, assemblies, and friendships. It is getting better, but there is still work to do. Another break through came when we saw Dr. C (Therapist #3 and the focus of an upcoming post). He helped us understand the importance of spending just as much time on the strengths, as we had been on the challenges. This shift in thinking completely changed our family dynamics for the better! As we try and put people into categories, it is hard to do that with the twice-exceptional kid. Their uneven development and extremes in varying skills confuse people and challenge their understanding of giftedness. At this time, there is far more education (and appreciation) needed. The neurologist said that our TBP has an amazing brain and will be an amazing, accomplished adult. Reassuring…right? He explained that we would need to advocate for our son and we are determined to do this and help him experience an amazing childhood as well. Your post are so real and I love that you don’t sugar coat!!! It may seem funny at times to other people, but this is so real and can give you anxiety wondering what they will say to people! I remember when we took our son to Disneyland for his birthday (with other family) and he was miserable. We could have saved a lot of money because all he wanted was the Peter Pan suit he saw at the store before we even went in!! We bribed him to go on rides and he kept saying, “if I go on this ride will you just take me to get the the Peter Suit and go home.” Everyone kept saying, “this is supposed to be fun whats wrong with him??! !” I know they thought he was ungrateful and we should teach him manners. By the way we should have bought the suit on the way in instead of on the way out since had we promised it for his birthday, but it was 100 degrees and it was made of velvet!!! Looking back we should have let him have heat stroke! Recently he asked to go to Disneyland and my husband and I yelled in unison, “NO”!! You have no idea what your comment meant to me! The part about being ungrateful and needing to learn manners reminded me of similar situations with my TBP! We believe that our trip to Disneyland would end in a similar fashion to yours! Tears ran down my cheeks as I read how yours was trying to negotiate for one more ride so that you could leave! Not the “dream family vacation” that anyone imagines, right?! Thank you for following me and I am SO glad that the blog is helpful! I will never again look at a tantruming child in Fred Meyer in the same way after reading your blogs. I admire your strength, determination and the love that you have shown to help your Twice Baked Potato deal with his world. Do you have any advice to us who may observe such a scene? What is most helpful to you during a meltdown? Should we ignore the situation, try to distract or interact with the TWB or just stay out of it. I do wish you a peaceful week end. Thank you so much for your support! Trust me when I say that parenting a TBP has shifted my thinking about tantruming kids too! My suggestion would be to ignore the situation. Even if you are trying to be helpful, it might escalate the situation and the parent might see your willingness to help as interference or judgement. If you feel that you must say or do something, asking the parent if she (he) needs help, might be appreciated at that point. I wish i could wave a magic wand and convince all parents that . . . if your kid doesnt like typical kid things, DONT FORCE IT! Some adults like parties and some dont. Some adults like going to the movie theater and some dont. Some adults like going to find art museums and some dont. We dont force adults to do entertaining things they dont like, why would we do it to children? Trust your child! Your child knows what s/he needs in most situations better than you do! I am learning this too! Slower than maybe most, but learning. Thanks for your feedback! Hi I am so glad to find your post. Our family has been on a road to discovery as well. Our oldest boy of 3 has had many challenges and professionals trying to figure out what is “wrong” with him. We have been told that he is gifted with ADHD combined. The school that we are at will not give him special education support and he clearly needs help with organization, focus, etc. I am curious to know what your son’s other exceptionality is? How have you been able to work with the school? Thanks again for sharing. 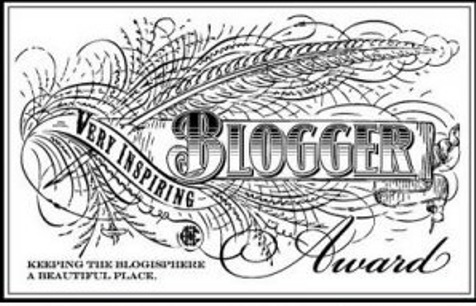 Bridie-I am so glad that you found my blog! I understand your frustration (and have felt it myself) and that is why I plan on writing a series of posts about school. I am an elementary teacher and I understand the challenges of the job, but as a teacher… I fully take those responsibilities. I don’t know where you live but…in most places, parents can request a team meeting and request an evaluation. Some schools still don’t understand that IEPs are appropriate for behaviors and not just academics. If your child has a medical condition and you can prove that it impacts his educational performance, I believe that you can request a 504 plan. This plan provides your child (and you as his parent)with the rights to special accomodations. I strongly recommend that you research 504 plans and also read the books (especially Bright Not Broken and Dr. Curtis’ book) that I have on my resource list. I don’t know if you are doing medication or not, but the Bright Not Broken book has a section about the implications of a gifted child on medication for ADHD. I would also encourage you to find out about the impact that gluten has on some children. This has been a huge thing in our house! My son is considered twice-exceptional because he qualifies for gifted education with a very high IQ (although his current school district doesn’t offer it in first grade) and then his social skills/impulse control/ sensory issues are below grade level. It was explained that there is nothing about him that is “on” the bell curve….extreme to one side academically and equally as extreme to the other side for other issues. It is better at our school and this is because we continue to educate and advocate for him. I hope you continue to follow me and find my posts helpful! Take care! This is very nice article written by a wonderful parent. Very nice to see how they have really understood the child. We have a highly gifted child, but he is also so aware of his environment that it scares us at times. He tunes out with tact but will rarely act out as is again very aware socially ,and we will never know till some unexpected event will bring the problem out. He hates his school and teachers but pretends hard to adjust until finally one day he bursts into tears. I understand that children cannot be perpetually happy and they have to learn to deal with tough situations. But am I missing something here in understanding my child ? He is an incredibly sharp learner and way too mature for his age. I feel like giftedness puts so much burdens on these kids. Thank you so much for your comment! I know much more about my son now, but it wasn’t always like that and it hasn’t always been easy. For a long time, school was terrible for my son. After several experts and research, we found that his giftedness made him feel different than his classmates. We started having more conversations where we did more listening and less talking. I would encourage you to look at two particular books on my Resource list: Bright Not Broken or Understanding Your Child’s Puzzling Behavior. Also, school can be challenging for the introverted child. I hope that you continue to follow my blog and feel free to ask more questions! Good luck to you and your family! Tumkur-I thought about your comment last night and I think you might also find the “Recipe” and “FAQs” tabs at the top of the blog very helpful. Best wishes! A child who is gifted craves mental stimulation…fundamental concepts. Without receiving it…they either must explode (act out)…or implode (withdraw). To remain the same is to suffer mind numbing boredom…not an option. It is good you have researched the information…and are actively pursuing options. Your son will greatly benefit from your efforts. All of your comments have been so amazing! Obviously you are very educated on the subject ;). I wished that more people had the depth of knowledge and insight that you have shown! Your thoughts are an wonderful addition to this site! Blessings to you and yours! « Shop ’til You Drop? Not likely!